I love the Circuit de Spa-Francorchamps. You love the Circuit de Spa-Francorchamps. It’s a classic Formula One venue for good reason, with one of the most insane uphills in racing with the Eau Rouge-Radillon combo. I mean, even the cat gets into this race. 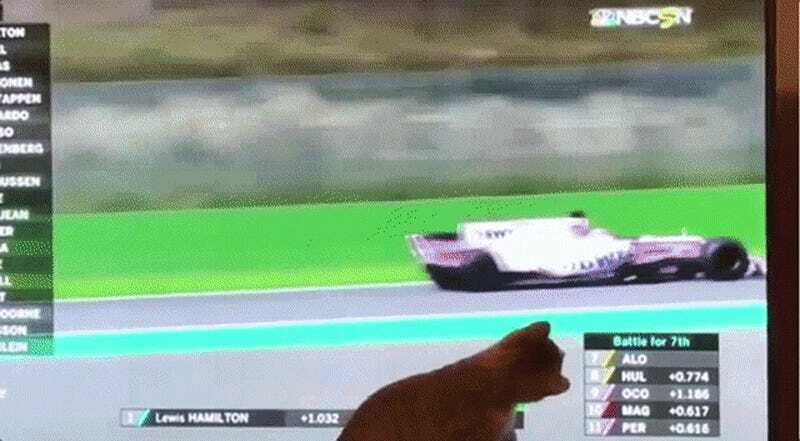 Clearly the kitty is a Ferrari and Force India fan, if the paws are to be believed. 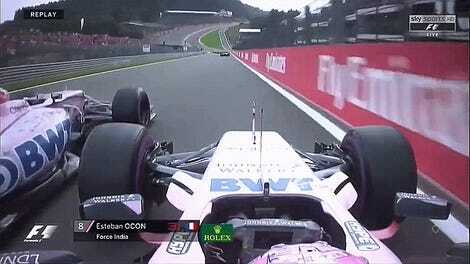 The only question is, who did Race Cat side with when the Force India teammates collided with each other later in the race? That’s an epic driver catfight if I’ve ever seen one.